Written by Crystal Sissons, this is the Feminist History Society’s 5th book. It will be available to members in hardcover, and as a trade paperback published by Second Story Press in the fall of 2014. 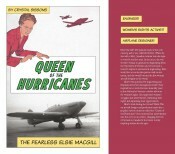 Elsie MacGill’s life spanned much of the 20th century, and it was a life full of firsts. While she was still a child, Canadian women won the right to vote for the first time. In the 1920s, she was the first woman to graduate in engineering from the University of Toronto and to later earn a Master’s degree in aeronautical engineering. Elsie would live to see the first person walk on the moon, and she would become the first woman aircraft designer in the world. Elsie’s twin passions for engineering and feminism drove her throughout her life. They inspired her to work for more than fifty years in her field and to become a tireless advocate for women’s rights. She supported women’s struggles and achievements, enshrining their rights and expanding their opportunities. 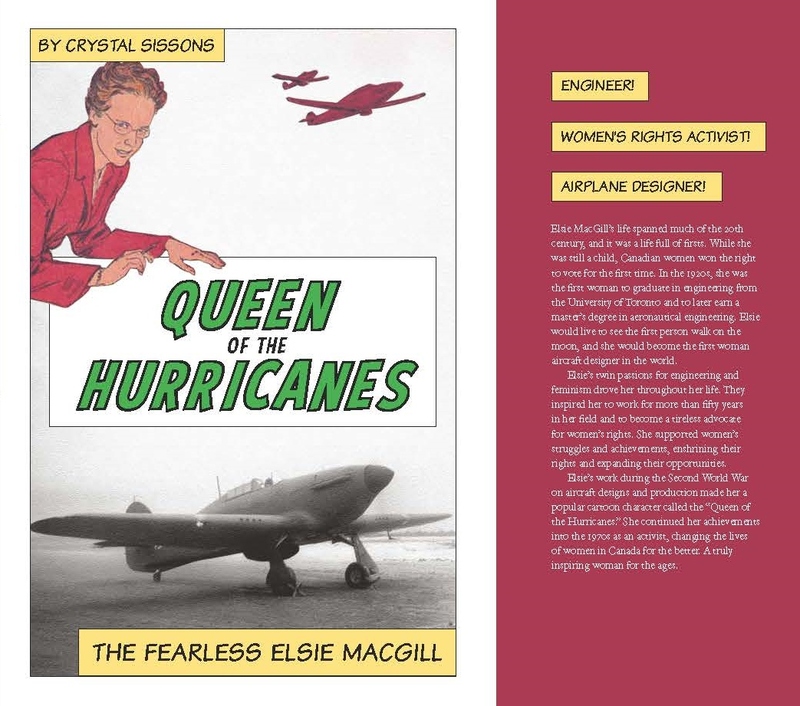 Elsie’s work during the Second World War on aircraft designs and production made her a popular cartoon character called the “Queen of the Hurricanes.” She continued her achievements into the 1970s as an activist, changing the lives of women in Canada for the better. A truly inspiring woman for the ages. Footnotes are not included in the book for reasons of length, but are available in full here: Footnotes.